← December Cook the Books! The Homemade Pantry Review and Wrap-Up! Why hello there! I am still here. I’ve been giving myself a bit of a break and focusing on having fun, healing, and doing what feels right in the moment. That has meant a lot of running, reading, and traveling. Clearly, it hasn’t been writing at this point. As part of my travels, I’ve gone down to California twice to spend some time with my Mom and see some friends. The trips have been good for me in a lot of ways. Our family, as you know, has had a rough few years. The trips have allowed me to spend some time with Mom and sort of check up on her, complete lists of tasks she wants done, cook for her, and generally just re-establish a new relationship with her after my Dad’s passing last August. The trips have also allowed me to connect with a few people that make going to Roseville pretty fun. You see, Roseville and I haven’t gotten along in the past. I moved there in the middle of high school from the greatest high school situation imaginable to, what seemed to me at the time, one of the circles of hell. Roseville and I were definitely not BFFs and to say that my history there is complicated would be a rather large understatement. Consequently, I always felt unnerved and a little nuts whenever I went back. Or like I was having an unpleasant out of body experience. Anyway, over the last year I’ve met up with some people from that time of my life that I didn’t really know, but I am totally enjoying and are meaning a lot to me. I’ve also gotten reconnected with some people from my past, which has felt important in some way. It is funny how life rolls, isn’t it? Meanwhile, while I’ve been in a state of healing/midlife-crisis/playing/recovering/traveling/running about, some friends of mine are doing truly amazing things. Seriously. I have some incredibly talented friends. Check them out! 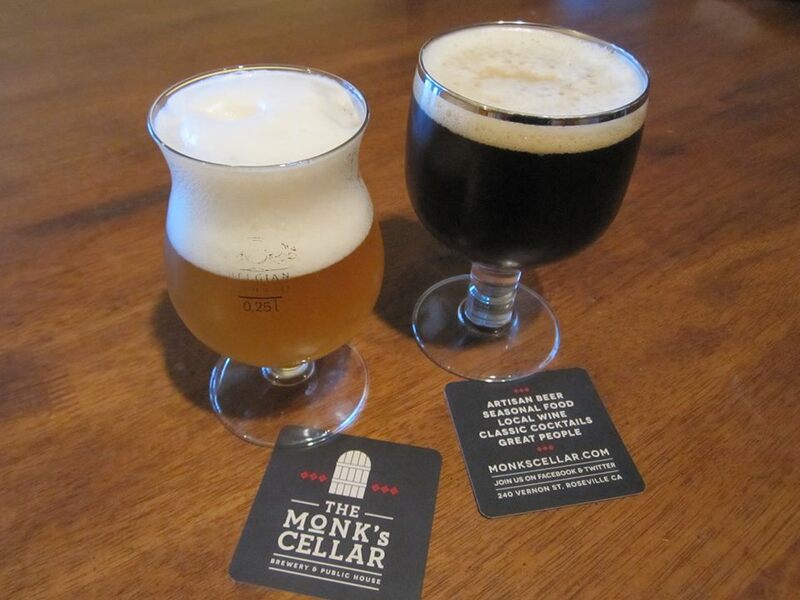 The Monk’s Cellar Brewery and Public House. First of all, in my returns to Roseville I’ve had the pleasure of spending some time with multi-award winning brewmaster, Andy Klein. He is part of the team opening up The Monk’s Cellar this summer in the old historic part of downtown Roseville. If you are local to the area, you probably have tried (and loved) his beer. He has a long history of brewing and most recently brewed for Sacramento Brewing Company and Beermann’s, both available broadly in the area. I really can’t even explain how desperately Roseville has needed something this amazing. I’m so thrilled! On my first visit, the flooring was installed. 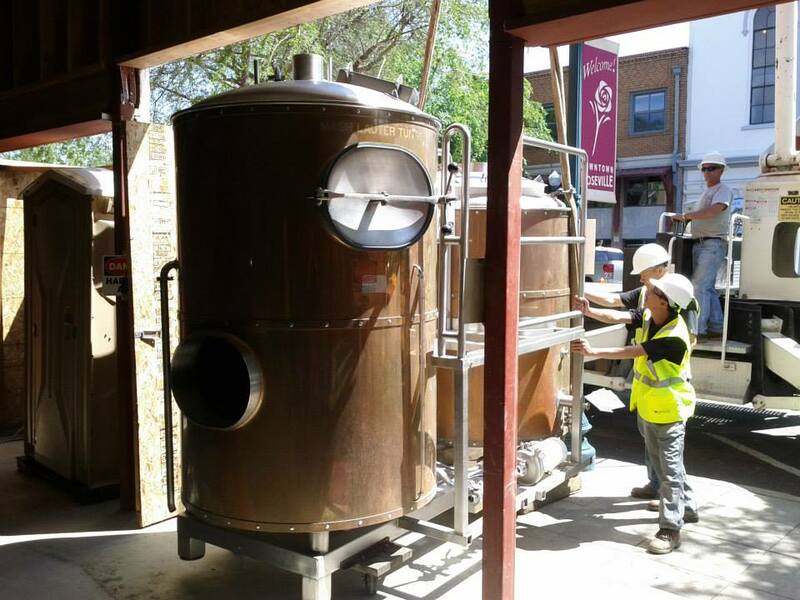 More recently, fermentation tanks and kitchen equipment have been delivered and more structural elements in place. It has been fun to be in the beautiful space (gorgeous brick walls and tall ceilings) and have Andy discuss his vision and watch it come to life. His passion is Belgian-style beer and he plans to have 10 of their own beers on draft, as well as several rotating taps. They food menu creation is in process, but they are sourcing much of the food locally. Monk’s Cellar will also have an open fermentation tank which is undeniably cool. Right? Obviously, I am beyond excited for it to open, try each and every beer, and see his dream come together. If you are local to the Sacramento-area or for some reason find yourself there, then plan on getting yourself to Roseville once it opens sometime this summer. Trust me, it is going to the the place to be. (Mom, I might even come down more often!) In the meantime, keep up to date with them on Facebook or Twitter. One of the fabulous things about blogging is meeting people you would otherwise not get to know. Next up are 2 friends from blogging that I’ve gotten to know via email and facebook. I love, adore, and respect them both and love spending time with when we they find themselves in Seattle on book tours. Hip Girl’s Guide to the Kitchen. One such person is the ever-charming, lovely, and all-around domestic goddess, Kate Payne, of Hip Girl’s Guide to Homemaking. I met Kate through the Can Jam back in ’10 and discovered she is a wealth of knowledge and brimming with great ideas from fermenting to decorating to home repair. I so enjoyed her first book (reviewed here) so I’m very excited that she has a new book coming out in just a few short weeks! 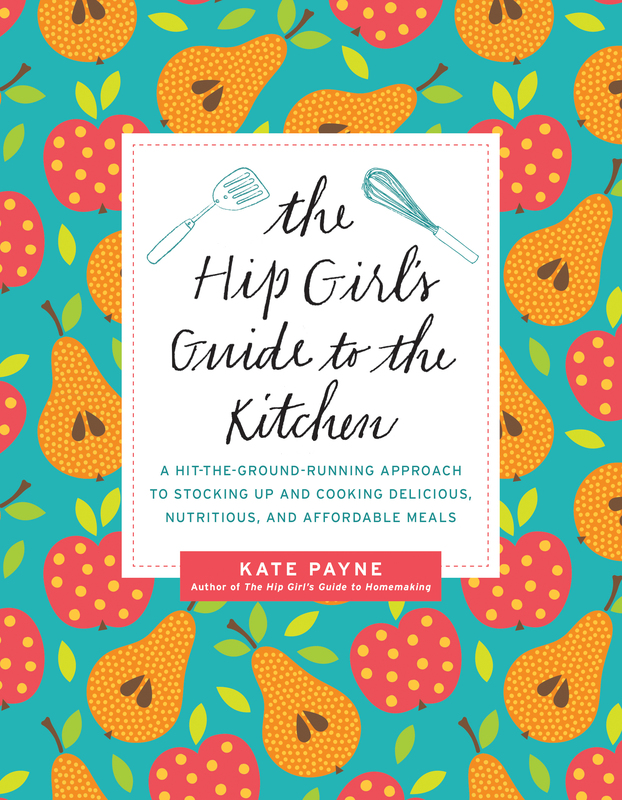 Hip Girl’s Guide to the Kitchen covers a full array of affordable and creative tips for the kitchen, broken down into 3 sections: Stocking Up, Feeding Yourself, and Feeding Others. If you aren’t as confident in the kitchen as you’d like to be, I guarantee you will be after reading her latest book. Keep up with her on Facebook too. Next up is Marisa of Food in Jars. Another friend from the Can Jam days. (Sigh, we all miss the Tigress & are happy she brought us all together.) Marisa pretty much knows everything there is to know about canning and is just delightful in person. Her first book, Food in Jars, was full of fantastic canning recipes for small-batch preserving. The tomato jam is the bomb. I loved the book and it belongs in any cook or preservers collection. On her last visit to Seattle I remember her discussing her hopes for her latest book and I am so pleased that it is here! 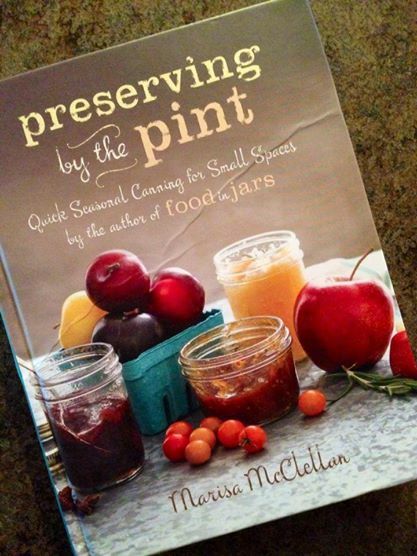 Preserving by the Pint is full of fantastic recipes for preserving that will capture the perfect ripeness of a single container of fresh picked strawberries or a few pints of pickles. I truly love this idea because I have found I don’t actually like mass canning projects. I tend to just eat more in season rather than doing a lot of preserving. Her latest book fits that need perfectly for just holding on to a bit of what is in season to have the rest of the year. Last year I tasted her Marinated Sugar Snap Peas with Ginger and Mint, and Rosemary Rhubarb Jelly and they’ve been haunting me since. I can’t wait to make a few batches as my rhubarb gets a bit bigger! Do pop over and check out the brewery and like them on FB and be sure to check out both Kate and Marisa’s new books! This entry was posted in Cookbooks, Events, Kitchen and tagged andy klein, beer, brewery, food in jars, hip girl's guide to homemaking, kate payne, marisa mcclellan, monk's cellar. Bookmark the permalink. So nice to see you back on your blog!! And of course you know I live in Northern California – Roseville has a really cute side, which I enjoyed when I was going to school at UC Davis, but I can definitely see why it would be a hard place to be a (not-mainstream or gay) teenager. Since you’re thinking brew-pubs right now, and possibly in the area, I urge you to check out my “baby” – the Mare Island Brewery, which is soon to open up in Vallejo. It’s really not my baby, but I shepherded it through the City process (I work in Vallejo as Asst City Attorney now) and we are just so thrilled to have such a cool and fun business in our troubled city! They are going to open doors in a couple months, and we’ll be able to sit on the observation deck overlooking Mare Island and the Strait and have some beer. One of the brewers left Lagunitas to start this venture, so I am expecting some awesome IPA …. anyway, so nice to see you back and I’m glad the past months have been healing for you. Hi there Inder! I didn’t know you went to Davis! I was actually down in Oakland in February and was going to try and get in touch with you to see if we could meet up, but ran out of time. Perhaps next time I’m down! I’ve been following along on your blog and keeping track of your cute kiddos and amazing sewing! Yep, I went to Santa Cruz undergrad and Davis for law school. I’m a product of the UC system! 🙂 I accepted your friend request and sent you a message! Thanks! I’d love to meet up – in Oakland or in Vallejo, next time you’re down. Also, I sent you a message on Facebook, so check your ‘other’ box! It’s nice to see a new post from you and I’m glad you’re enjoying life! I found your blog a few years back while searching for chicken breeds (I don’t have chickens, I just get bored-I have some pretty cattle though!) since then you’ve been a source of inspiration for me in gardening, cooking and life in general. My family has recently had to say goodbye to a very important person too, it’s hard…but I’m going to try having fun, healing and doing what feels right too. Thank you for sharing a bit of your life, it’s actually helped me! You are golden! Thanks for your really kind words! And, I am very sorry for your loss. It is really difficult to know what to do isn’t it? The day to day just keep going and that feels, at times, mind boggling to me that it can just continue. I don’t know. So, I’m just going with it and doing what feels right at the moment. I hope you find some peace in all of it! I do enjoy checking out a new brewery! Or an old one if I am in a new town.